“For the early Irish Lent began the Sunday after Ash Wednesday. Gilbert of Limerick (†1145) insisted on Ash Wednesday” 1. This injunction was part of the programme of church reform that took place in the 12th century, reform that Gilbert (or Gille) of Limerick was deeply involved with. Gille was also “a philosopher whose philosophical thinking form[ed] the basis of his canon law” 2.
the earthly and heavenly hierarchies of Eriugena; the tripartite division of the role of the laity put forward by Adelbero and his cousin…and, in particular, a preoccupation with heresy. The balance of evidence suggests that Gille was papal legate for almost all his time as bishop of Limerick, and that he headed the Synod of Raith Bressail in 1111 8. According to Bernard of Clairvaux, he was the first to be legate ‘per universam Hiberniam’ 9. The Synod of Raith Bressail was the second aimed at reforming the Irish church and the first that covered the whole country. The first, held in Cashel in 1101, legislated against the purchase of church positions, and regulated the relationship of church and state, marriage and clerical celibacy 10. (c) John Armagh/Wikipedia, Public Domain. The Synod of Raith Bressail went further, instituting for the first time a full system of dioceses in Ireland in a hierarchy subject to a Primate of all Ireland, and through him to the see of Rome. This was the greatest change in the Irish Church since the 5th century. A document, the Acta, from this synod gives further circumstantial evidence for Gille’s origin in Limerick. Limerick is given as a model diocese (with “St Mary’s church” as its cathedral church) in a level of detail suggesting local knowledge 11. Gille is recorded as being present at the consecration of a new bishop of St David’s in Westminster in 1115. Bernard of Clairvaux records that Gille, along with Maek Isu of Lismore prevailed on Malachy to accept the vacant see of Armagh in 1129, and that Malachy became papal legate in 1140 due to the retirement of Gille due to old age and infirmity 20. Gille’s death, his only mention in the Irish annals, is recorded in 1145 in Bangor Co. Down. The De statu ecclesiae survived in two manuscripts and a prologue to it, De uso ecclesiastico in three. The two parts were published by Archbishop James Ussher in 163221. John Fleming (2009) “Gille of Limerick (c. 1072-1145), an Irish canonist” in James McEvoy and Michael Dunne (eds) The Irish Contribution to European Scholastic Thought, Dublin: Four Courts Press, pp. 37-48. Peter Adamson’s The History of Philosophy Without Any Gaps podcast includes episodes on early medieval political philosophy and law. Of the figures mentioned, Ivo of Chartes was roughly contemporary with Anselm, the generation before Gille. Gratian and Lombard were the generation after. 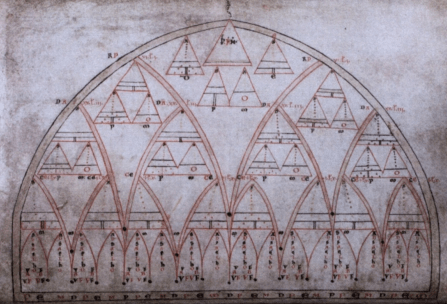 Peter Adamson (2015) Early Medieval – Law and Order: Gratian and Lombard.